This project aimed to address both summer and winter habitat limitations for cutthroat trout. Between 2010 and 2013, partnering with four private landowners, the Council planted a total of 8.7 acres of riparian trees and shrubs along 1.25 miles of the river to provide shade to reduce summer stream temperatures. 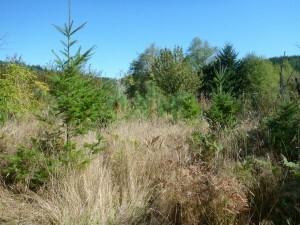 An additional 4 acres will be planted in 2015-16. 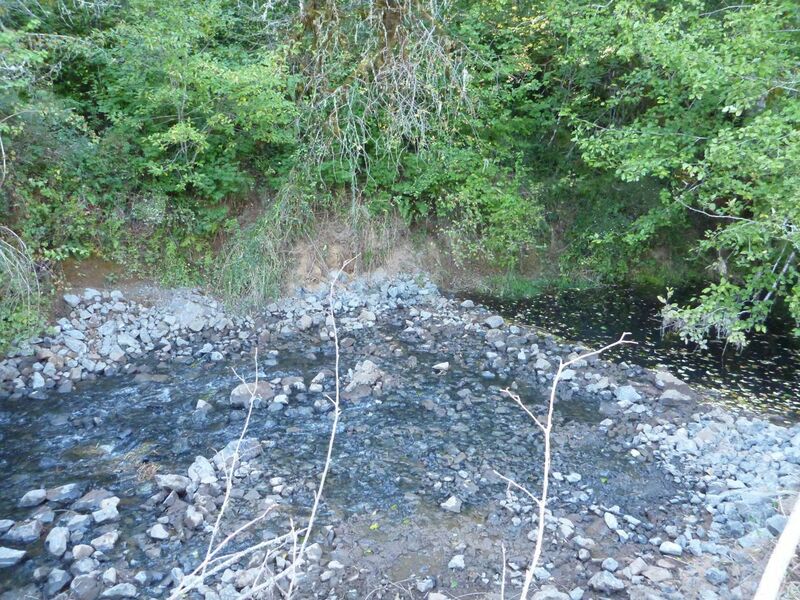 In 2010 and 2014, five graded rock riffles were constructed below historic alcoves, wetlands and river meanders. The rock placements will raise the water level and increase how often and for how long winter flows are able to backwater the inlets of these waterbodies to allow fish access for refuge from high velocity winter flows. 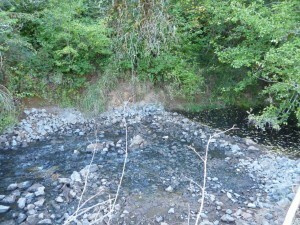 This project was supported by Oregon Watershed Enhancement Board, US Fish & Wildlife Partners Program and Oregon Dept of Fish & Wildlife Restoration & Enhancement Program.